The math behind this image is rather like bigpics 314 and 314, except that it uses alternating black and white and some parameters have been changed. 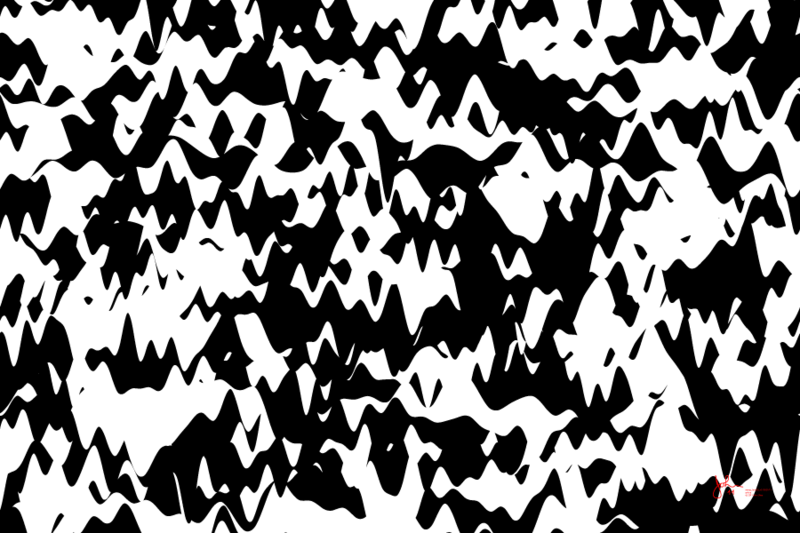 This image has both order and randomness, but appears to be very close to that limit at which the eye-brain system no longer recognizes a "thing". None of the shapes is deliberately made to resemble any real object, but with the stark contrast and curving outlines the mind conjures up faces, fish, snakes ... like some people see in cloud formations. If it were pushed just a little bit farther toward randomness I think people would see nothing at all.